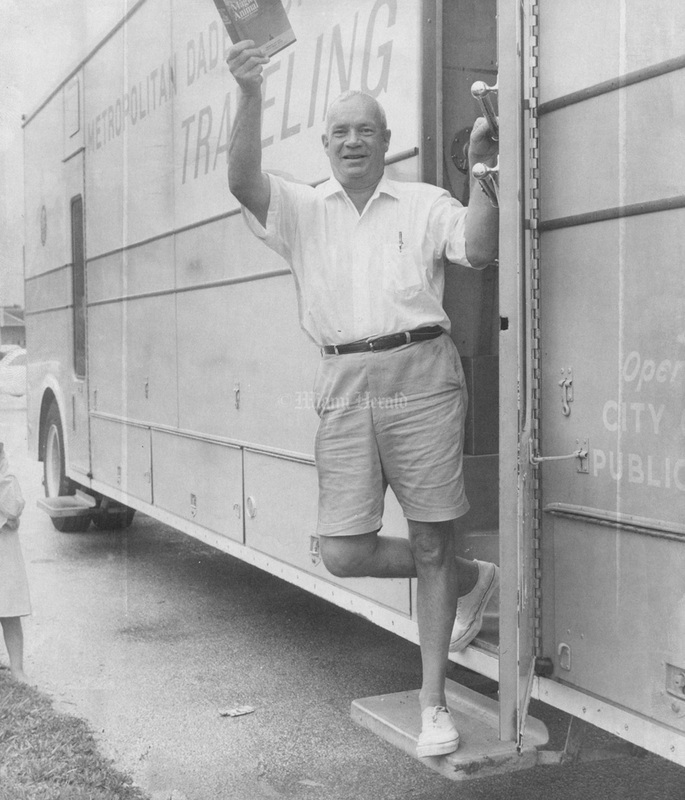 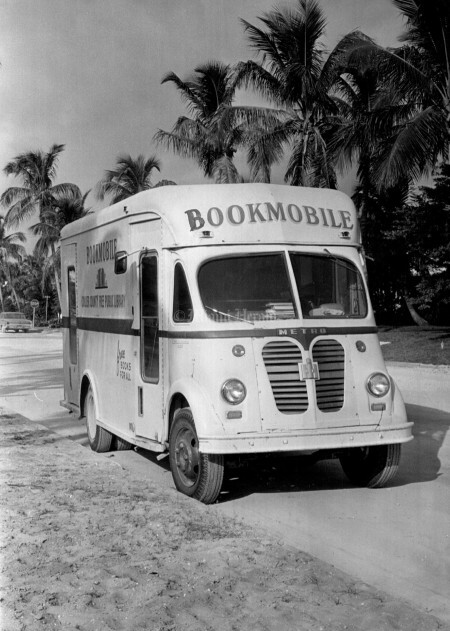 The first bookmobile in Miami began in January of 1928. Since then, bookmobiles have been the bearers of books and carriers of culture for patrons in outlying areas. 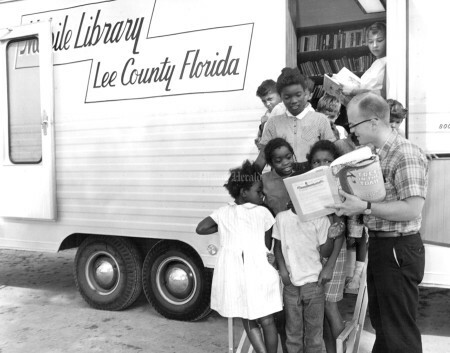 At the program’s peak in 1979, the county maintained about 20 bookmobiles that fanned out all over Dade County. People checked out 293,000 books from the mobile libraries that year. 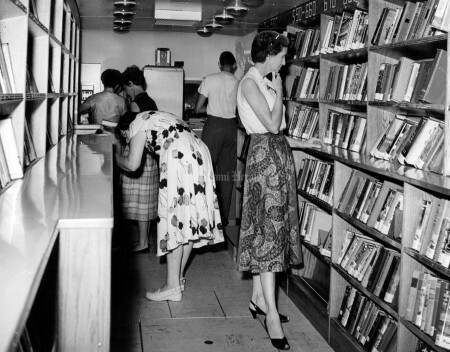 At the time, the county also maintained about 18 brick-and-mortar libraries. With costs rising and the library system opening extra branches, the traveling library program started to wane in the early 1990’s. 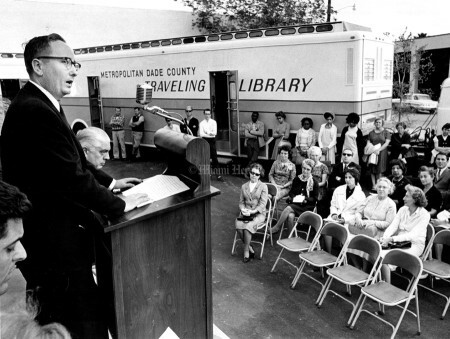 But bookmobiles live on: The current bookmobile service began in 2001 with two 37 foot vehicles serving public parks, community centers and shopping malls. The service was expanded in 2007 when two additional 29-foot vehicles were purchased. 8/18/1969, Dave Didio/Miami Herald: Charles Temple drives the traveling library and also checks out books. 12/5/1965, Larry C. Huston/Miami Herald: Book Mobile. 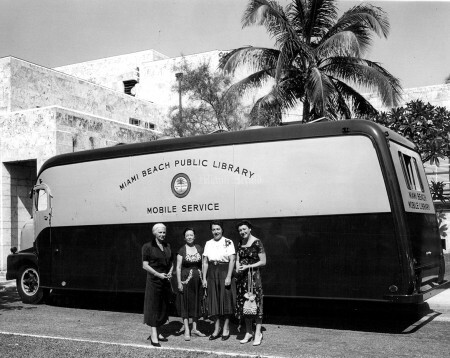 2/5/1964: Miami Beach Bookmobile operators, Mrs. Marilyn Molter, Mr. Natham Weiner and Mrs. Sue Burns. 5/10/1952: Miami Beach Book Mobile. 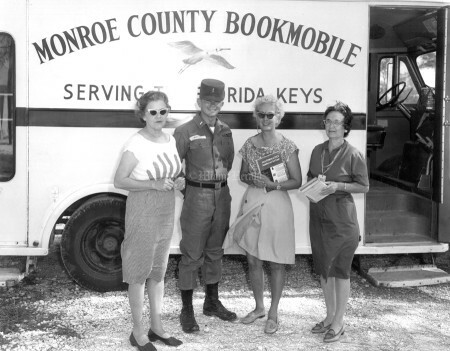 8/7/1964: Monroe county Book Mobile. 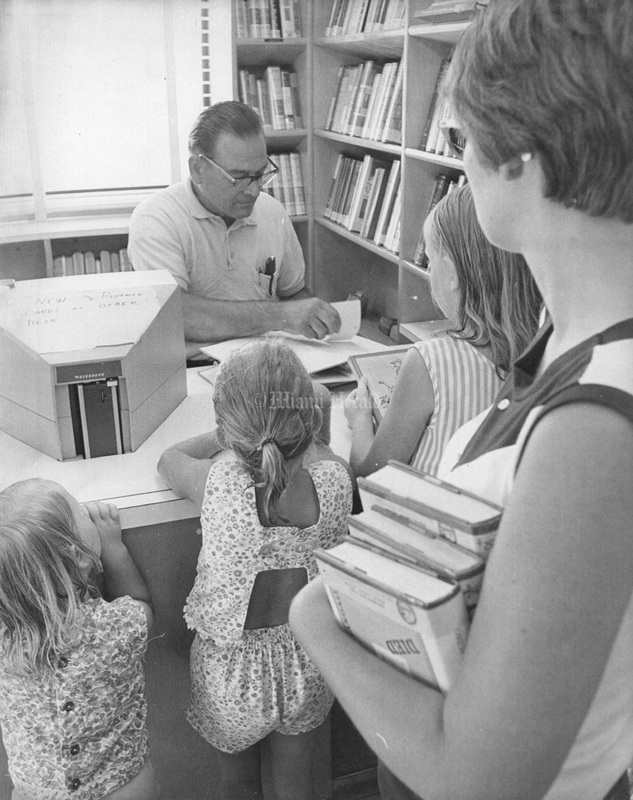 8/18/1969, Dave Didio/Miami Herald: Mrs. Robert Martin, of Ives Estates, leaves the library with a load of books and a load of neighborhood bids she took to the library. 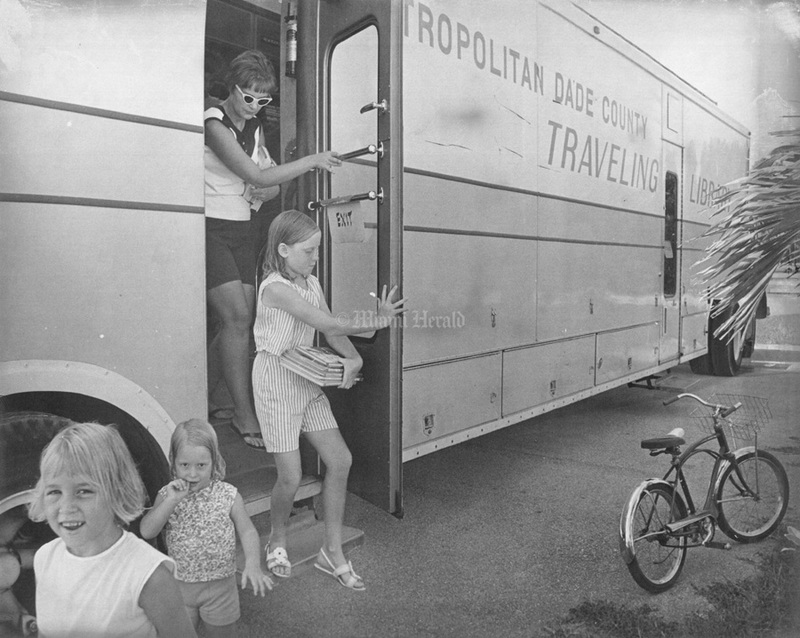 9/27/1968, Doug Kennedy/Miami Herald: Book Mobile. 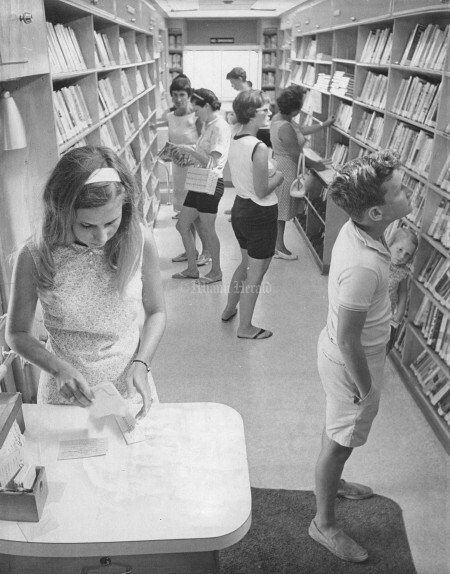 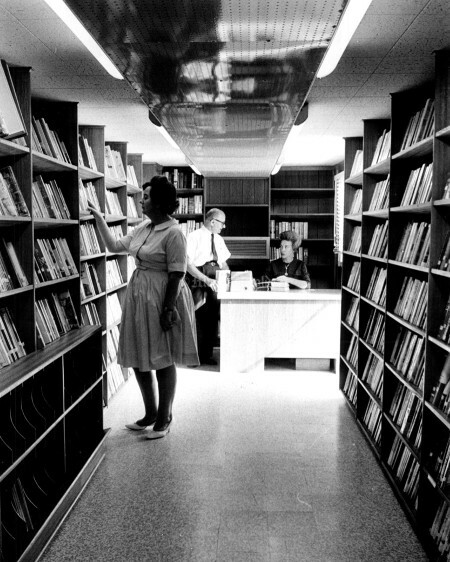 8/19/1969, Dave Didio/Miami Herald: Martha Phillips, front, assistant librarian inside the traveling library. 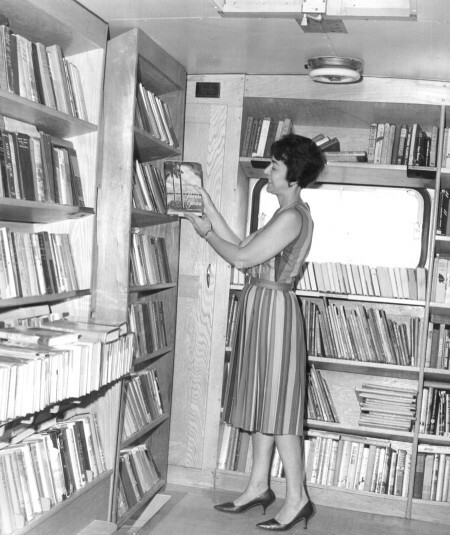 1/6/1967, Eamon Kennedy/Miami Herald: Book Mobile. 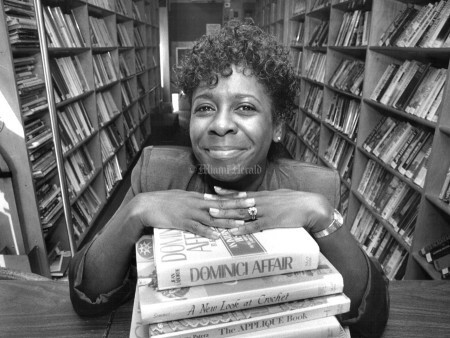 2/14/1989, Miami Herald: Lillian Dunbar is the librarian on the"Book Mobile." 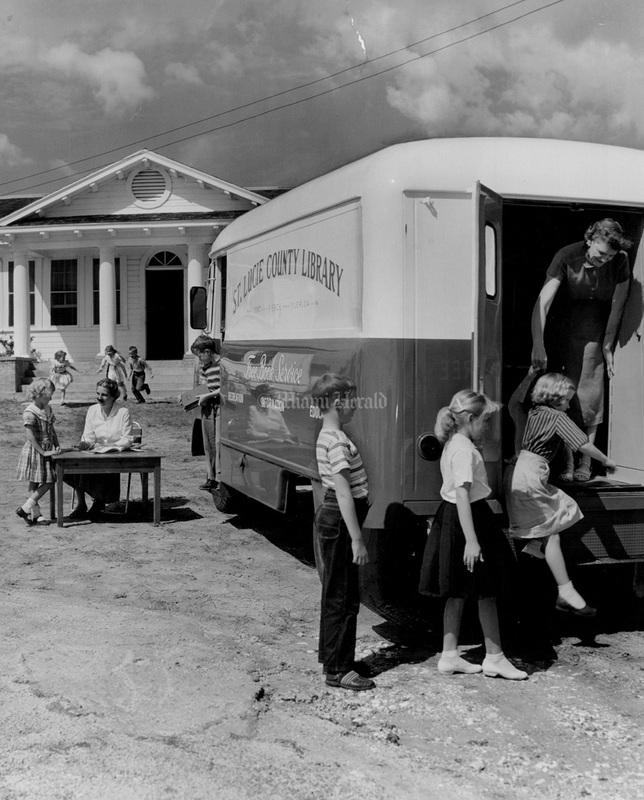 Undated: Lee County Book Mobile. 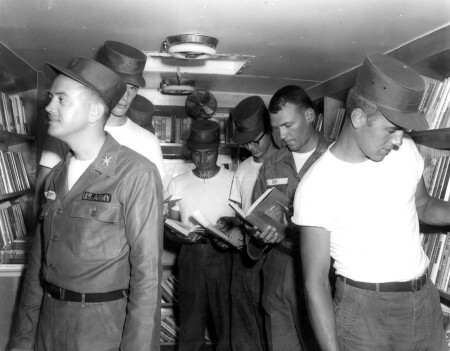 9/30/1954, Steve Weber/Miami Herald: Interior of Mobile Library at Dinner Key. 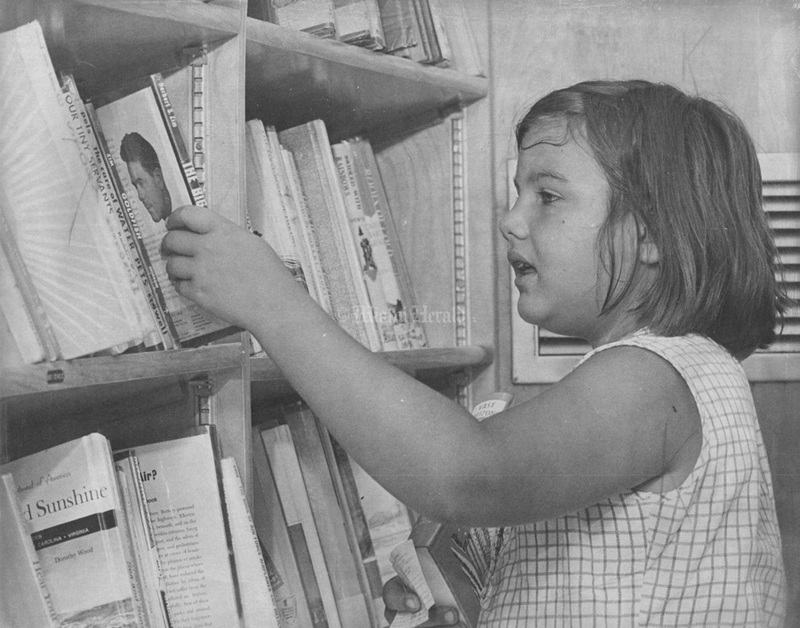 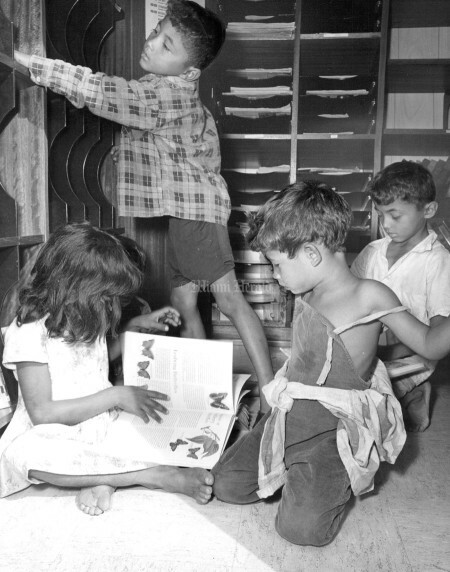 8/18/1969, Dave Didio/Miami Herald: Cathy Vaillancourt, age 3, explores the shelves of the traveling library. 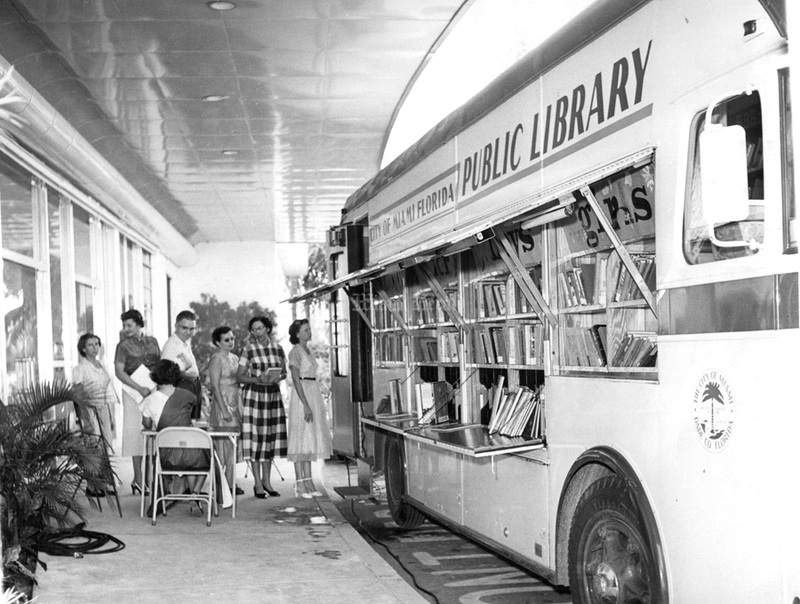 9/30/1954, Steve Weber/Miami Herald: Mob scene at the Mobile library by Dinner Key City hall today at 12:15.